How are we all doing sticking to the Resolutions? Do you make Resolutions? I for one do not. I find they set me up for failure, that’s just me! The word resolution just seems so scary and harsh! I do however set goals, for some reason I don’t fear that word the way I do resolutions! I would love to hear some of your resolutions and goals for 2014! I have already broke my first goal, to eat less sugar! I will blame my mom (it’s ok, she knows I blame her!) I have no will power with peanut butter or chocolate. NONE. I was on the phone chatting with my parents in VT last night when I heard her chewing on the line. 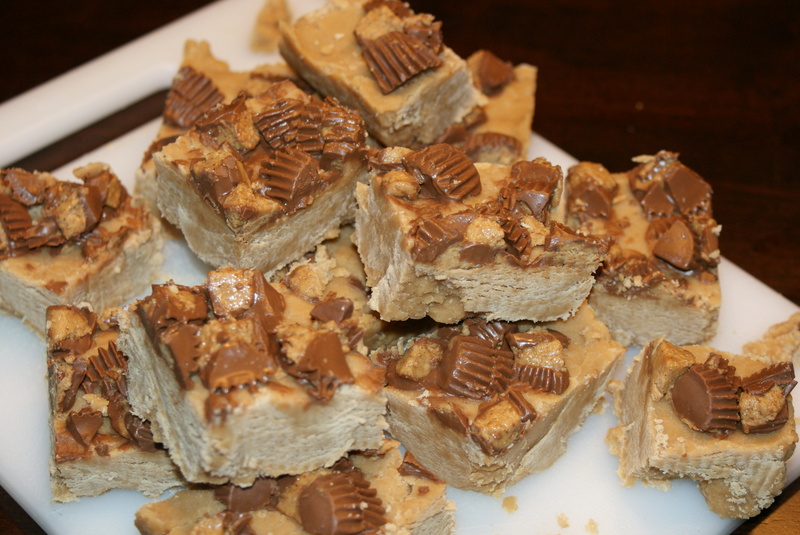 She mentioned she was eating peanut butter fudge with Reece’s Peanut Butter Cups on top and that it was hands down the creamiest and best fudge she has ever eaten. Well, with the addiction I have to sugar, in particular this kind, I was salivating on the the phone here in AL dreaming about that fudge in VT that I couldn’t get to! Then she told me where she found the recipe and duh, it made sense why it was so delicious, it was from Center Cut Cook who I follow on Facebook and Instagram who is nothing more than amazing and talented. How could it not be good!? Sadly, in a way, but not really, I had all the ingredients on hand. 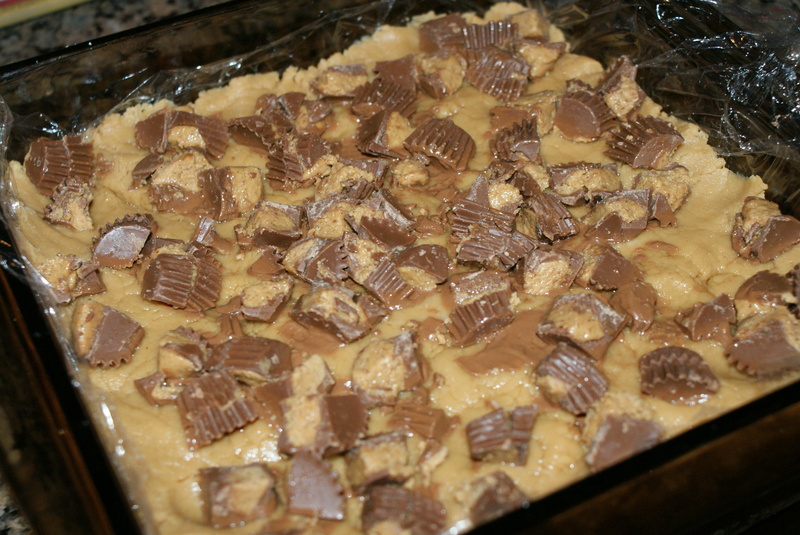 When I woke up this morning you bet the first thing that came to mind was that fudge, so yes I made it and yes my mom was right that it’s the best fudge I have ever ever ever ever times a bazillion evers eaten! 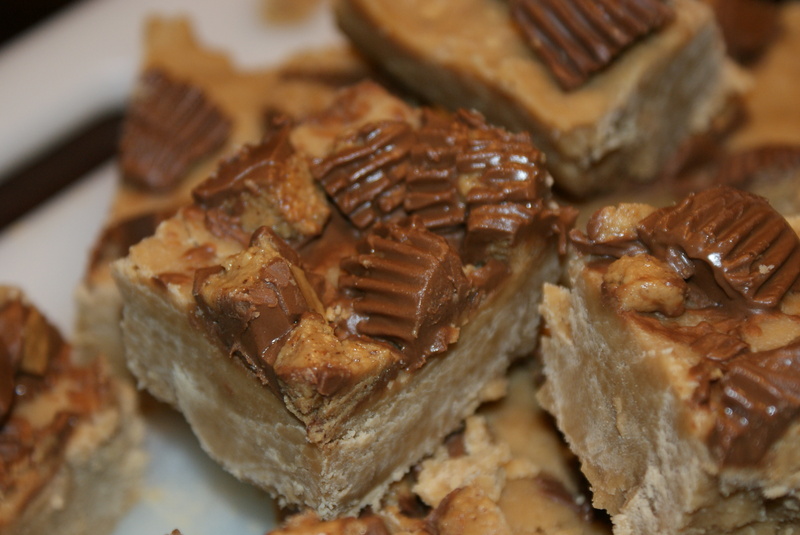 You must try it and you must visit http://centercutcook.com/peanut-butter-cup-fudge because all credit is hers for this recipe! While there you can see all her other yummy goodies! Here is her recipe! These photos are mine, but go check out Center Cut Cook and like her on FB, oh and Like me, Chaos and Cookies on FB too! I have all of the ingredients, too, but I think I’ll just make a half-batch. it sounds so good. Good idea Lillian!! I should have done that! No kidding girl! Its a perfect and lethal combo!!!! I think you should make some! Indulge in this lethal delicious mess with me! 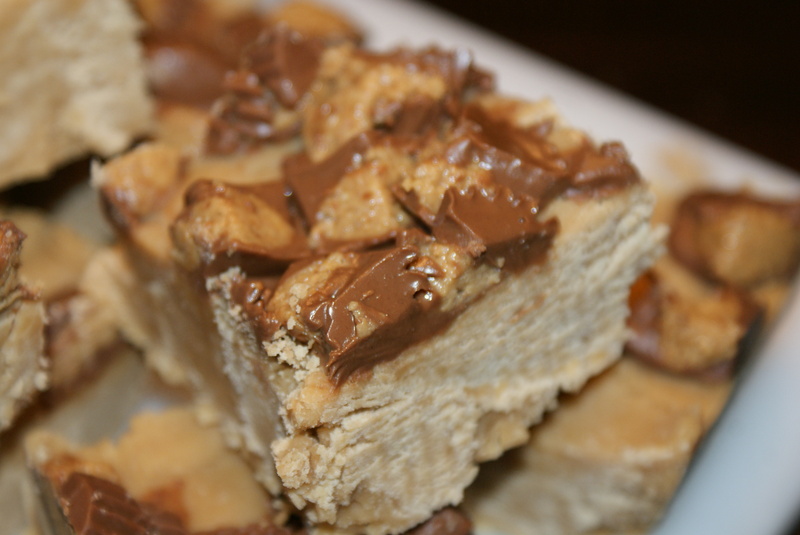 Peanut Butter Cups and Fudge!? Two of my favorite things! Whenever I hear the word peanut butter, I tune out everything to hear what delicious stuff is coming way. 🙂 I am going to try this soon. Thanks for stopping by and commenting! I agree, Peanut Butter just shuts down everything else going on! i don’t make new years resolutions either! i just KNOW i wouldn’t stick to them past the 2 day, ha! Thanks for the comment and for coming by my blog! I hear you! I try to make resolutions, but I make them knowing there’s a chance I won’t stick to them haha! This really is a perfect treat, I hope you try it!! And good for you for keeping realistic expectations for resolutions! My family would go crazy for this! 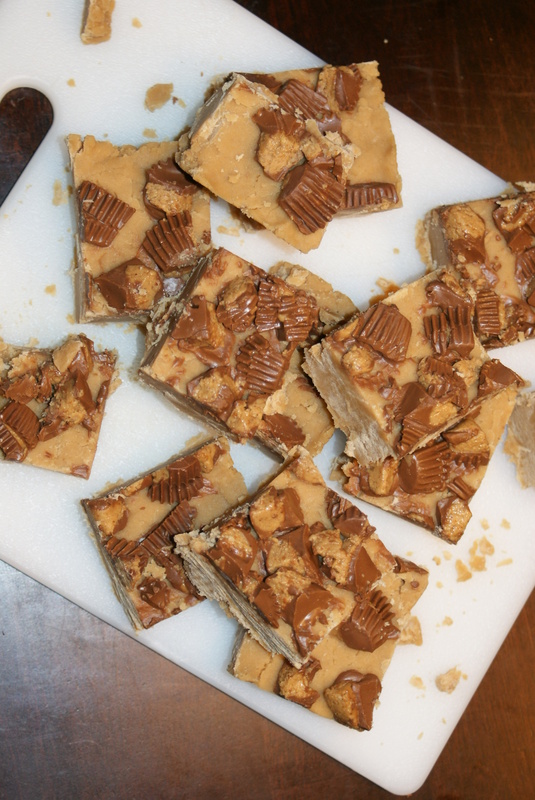 We are peanut butter lovers, for sure!! Peanut Butter is so tasty!! I bet they would love it! I don’t make resolutions either…I eat healthy during the week and indulge on the weekends. These are going on my “must make” list. They look delicious!! Thanks for the comment! I agree, weekends are the time for treats, then good during the week! I agree these need to be on your must make list! So yummy!!! Wow! I will need to try ! !